Of the many holiday traditions to take part in each year, opening thoughtful and humorous stocking stuffers is always one of the best moments. 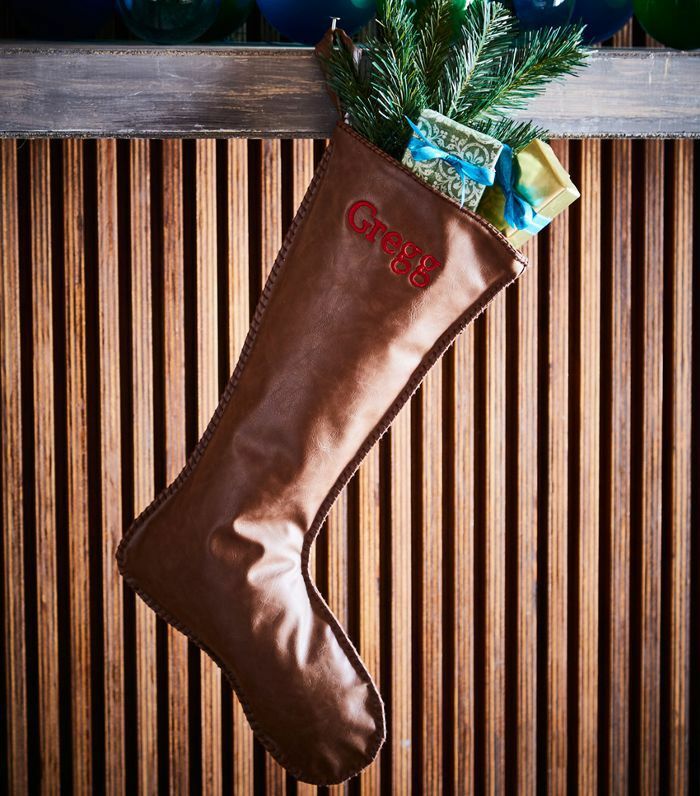 You can fill them with silly gifts, small trinkets, or yummy treats, but the stocking is what stays on display in the weeks leading up to Christmas. Make the experience of discovering those little goodies all the more enjoyable by upgrading your Christmas stockings with something you'll be proud to display all season long. 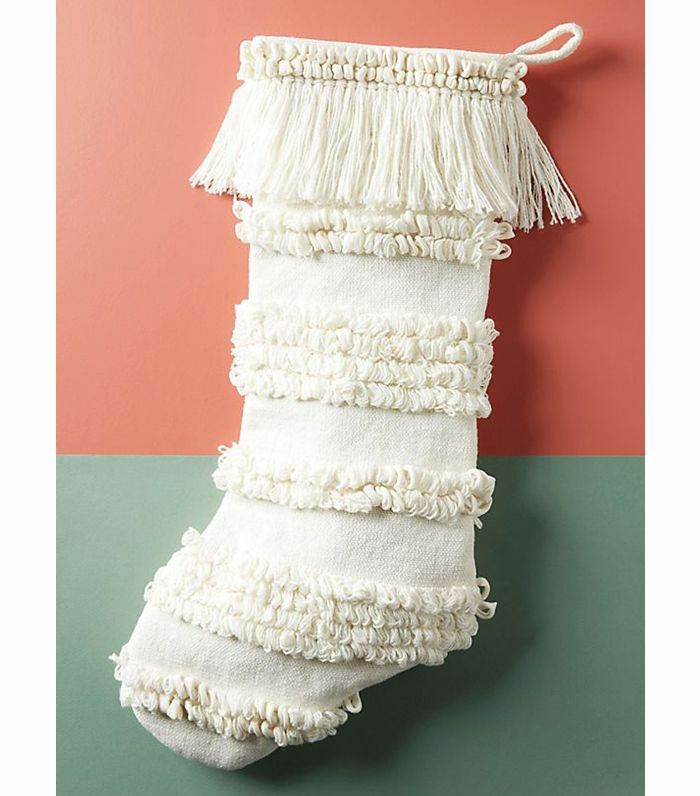 While there's nothing wrong with traditional decorations, if you're looking for a chic alternative, you may want to seek out a few modern Christmas stockings instead of the usual white-and-red felt creation. Think white fringe pieces, sturdy leather ones, or even an abstract design. 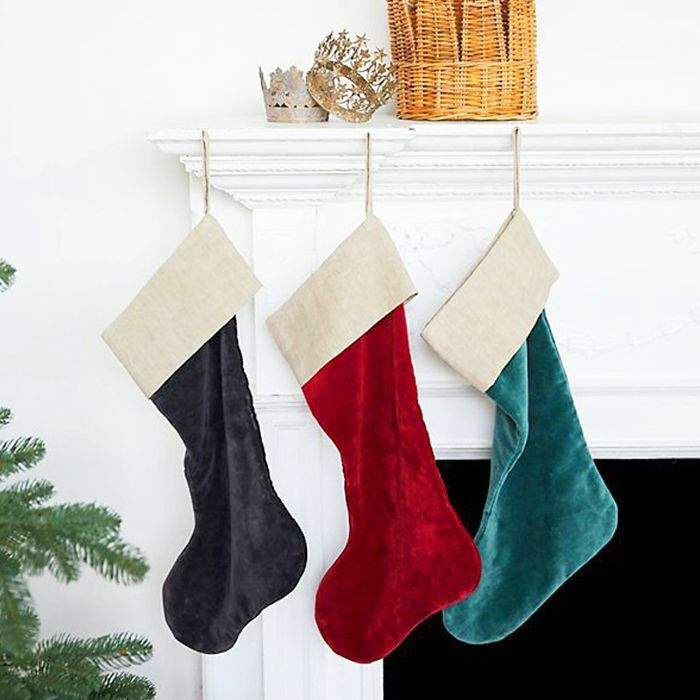 No matter your style, there's a modern Christmas stocking fit for your home that will feel just as festive as a traditional one. 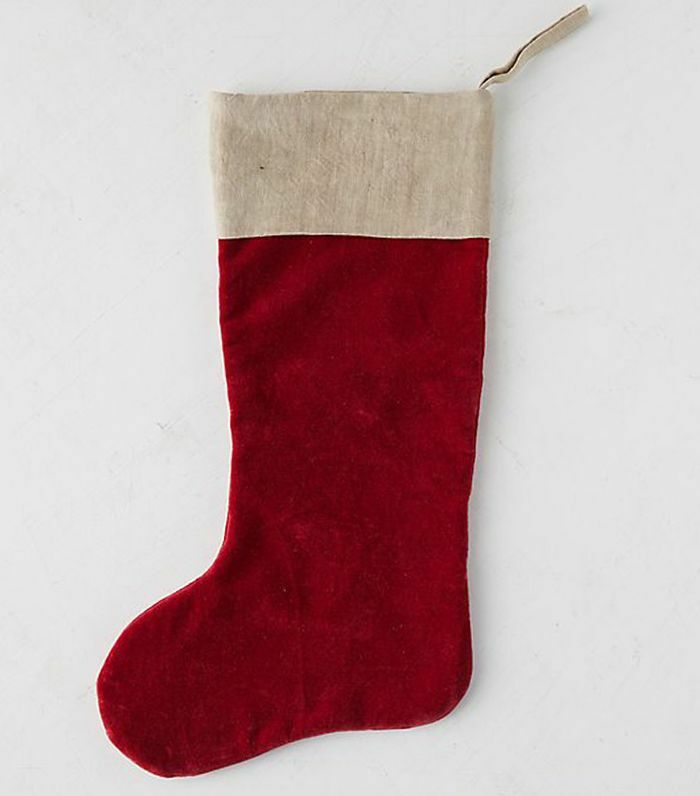 Ahead, shop 14 fresh and unexpected holiday stockings. 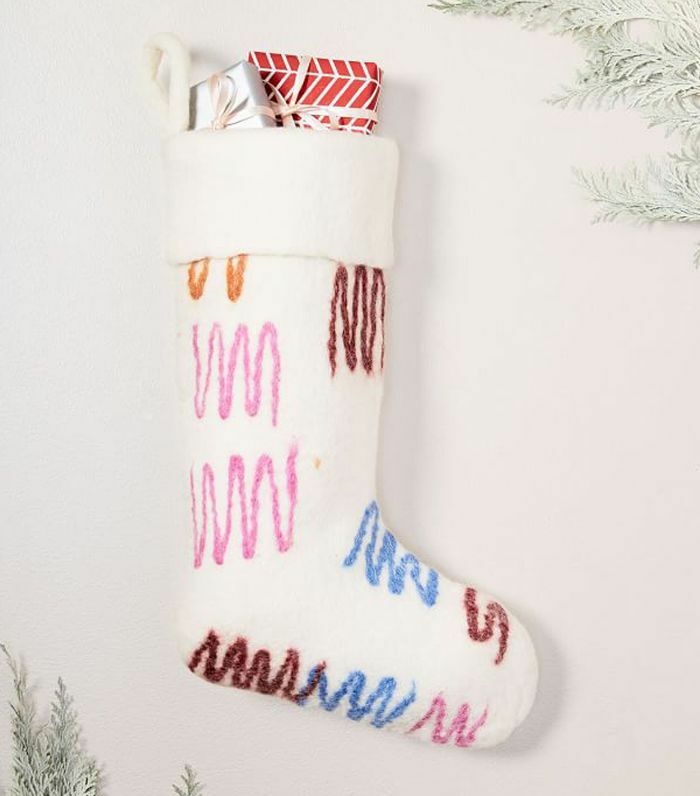 Opt for a handmade Christmas stocking in a unique pattern to refresh your usual holiday décor. We love the gold and white colors in a bold geometric pattern. For a bit of a bohemian look, try a tufted stripe stocking in a neutral canvas hue. 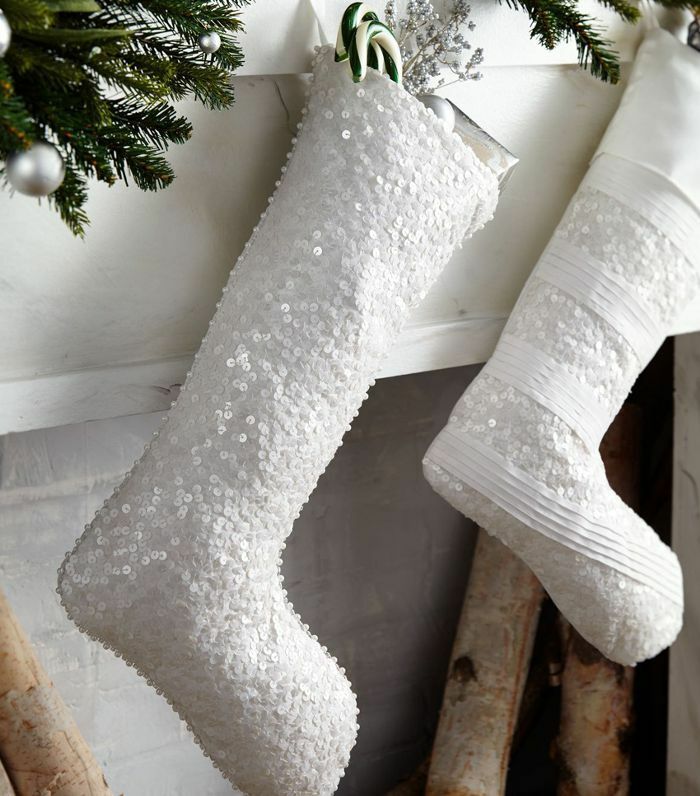 A sparkling sequined stocking in winter white is the perfect addition to any modern holiday décor. Just imagine these glimmering above a roaring fire. 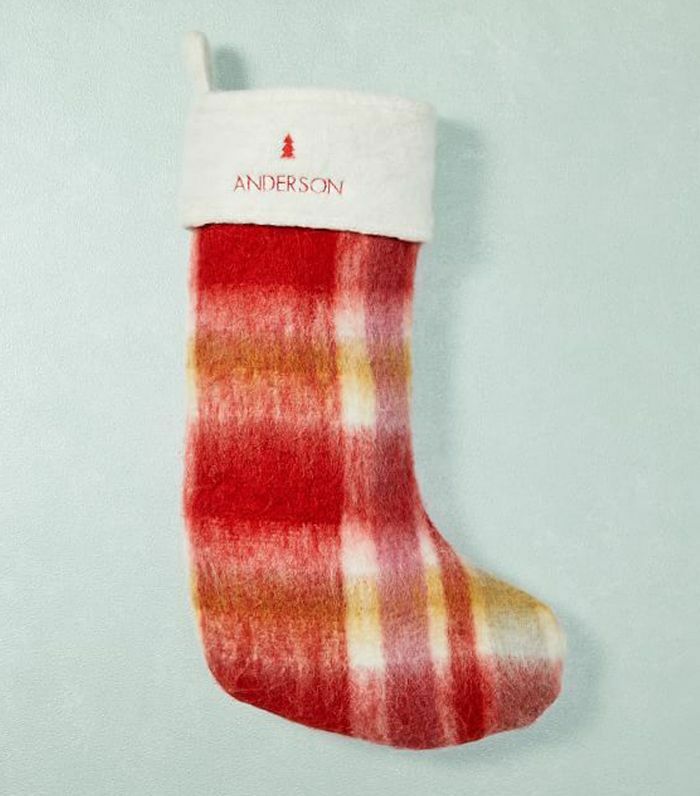 For a modern twist on a traditional look, go for a plush plaid option like this personalized stocking. It's festive yet stylish. 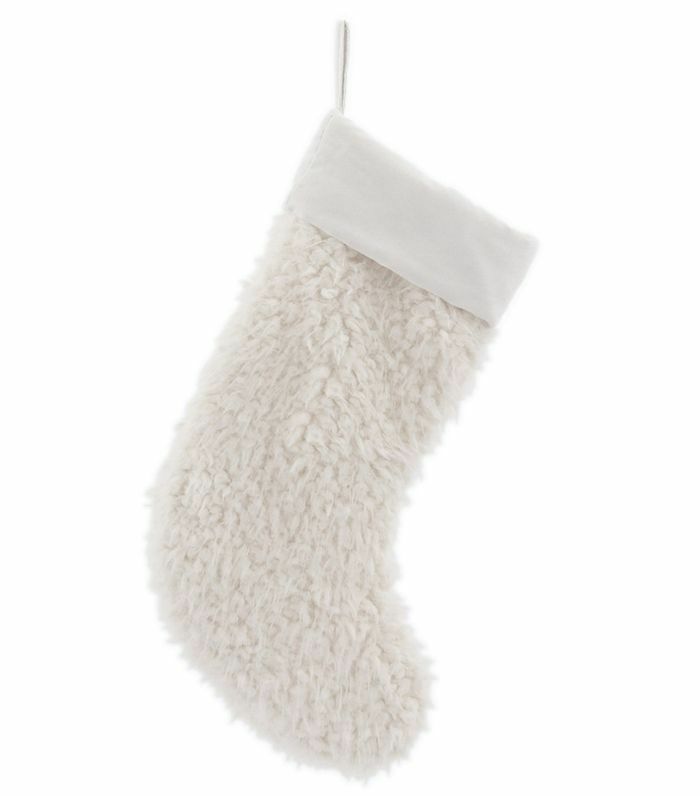 Made of a soft faux-sherpa material, this fuzzy stocking would look snug hanging above your fireplace all winter long. 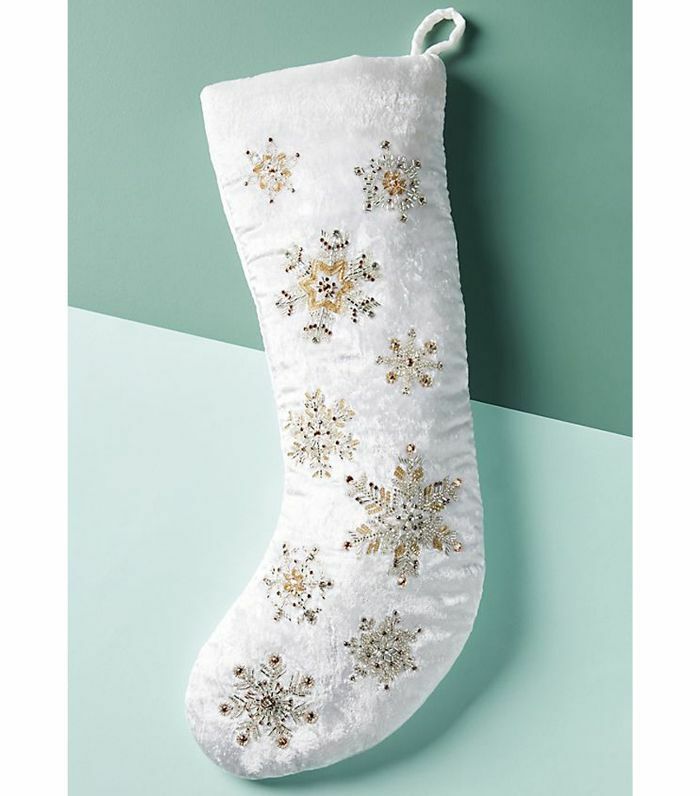 For a snow-inspired modern stocking, go for an embellished velvet decoration like this. It will make your home feel like a winter wonderland. 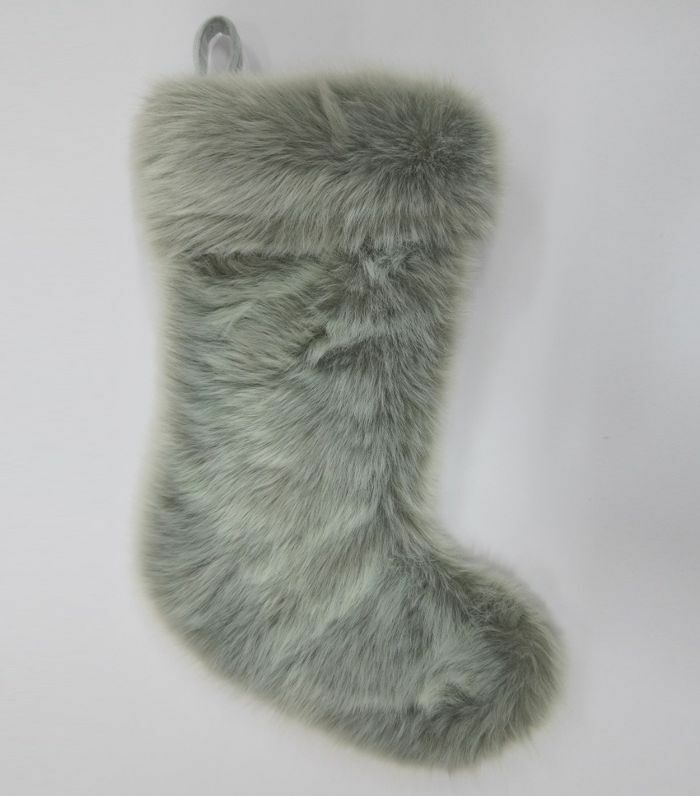 Depart from bright white, red, and green colors for something a bit more modern like this gray faux fur Christmas stocking. It's the perfect match to a fuzzy throw blanket. 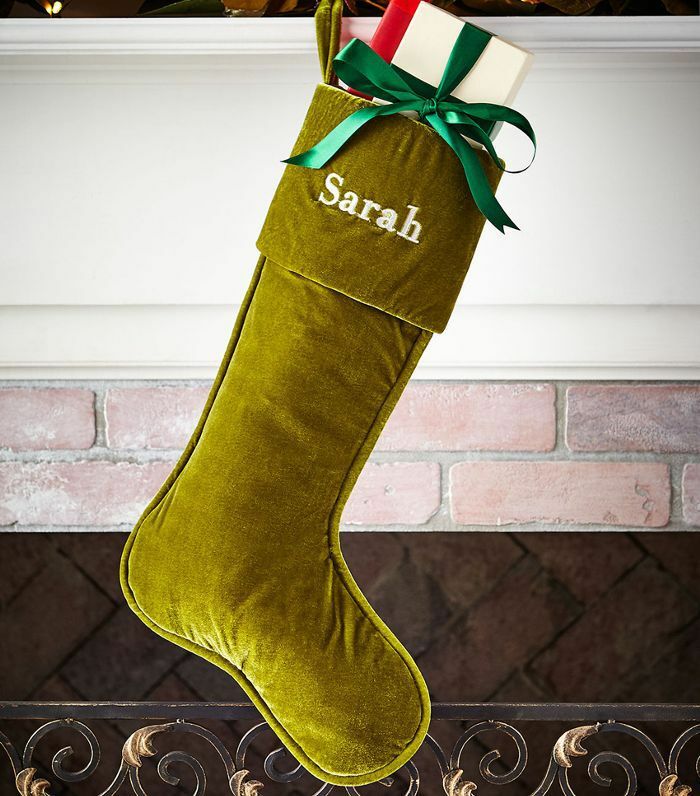 What could be chicer than a personalized faux-leather stocking to hang on the mantle? It's stylish, sturdy, and certain to stand the test of time. 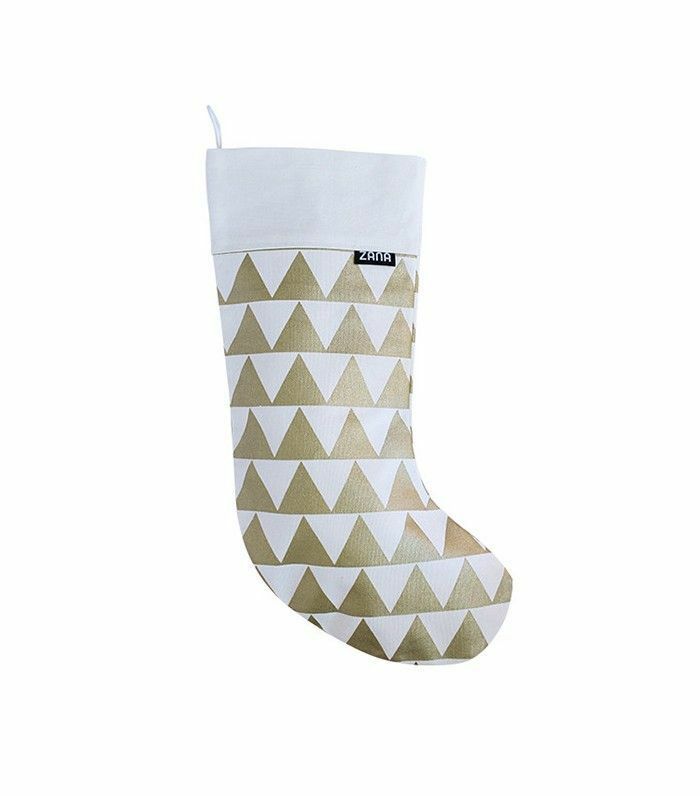 You'd be hardpressed to find a stocking more modern than this felt decoration with an abstract design. It's basically a piece of modern art. 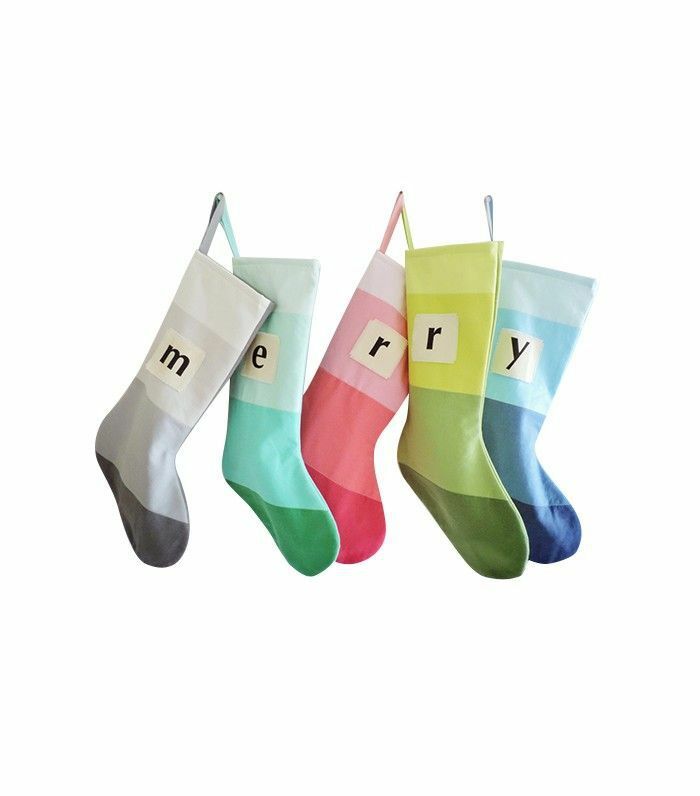 We love the bright and unexpected colors of these personalized stockings. They're sure to stand out from the rest. This velvet and linen stocking is a modern take on the traditional look. It's the perfect subtle upgrade. 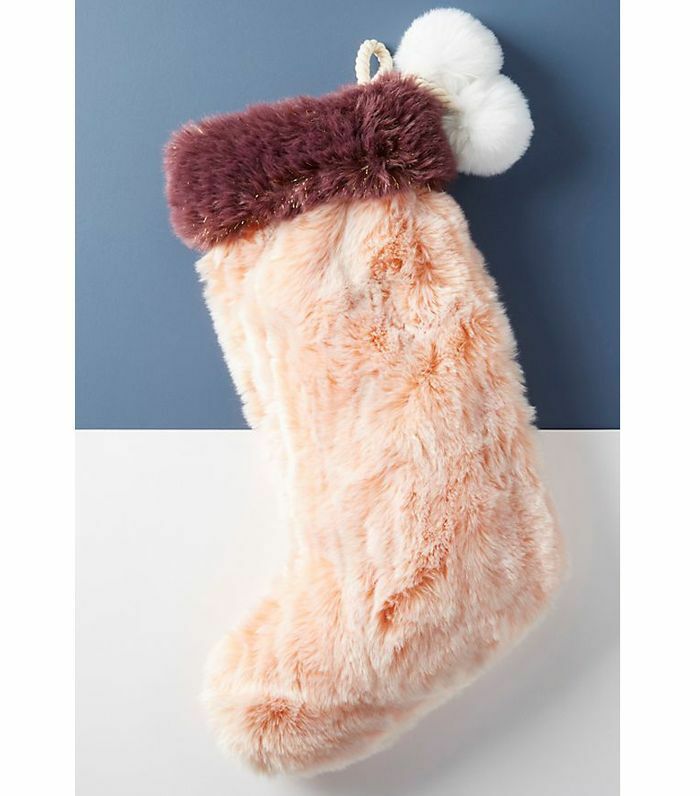 We love this cozy faux-ur stocking in light pink with a deep plum trim and whimsical pom poms to boot. A velvet stocking is right on trend this year. Go for a deep gem tone and personalize the decoration with a name for something truly special. 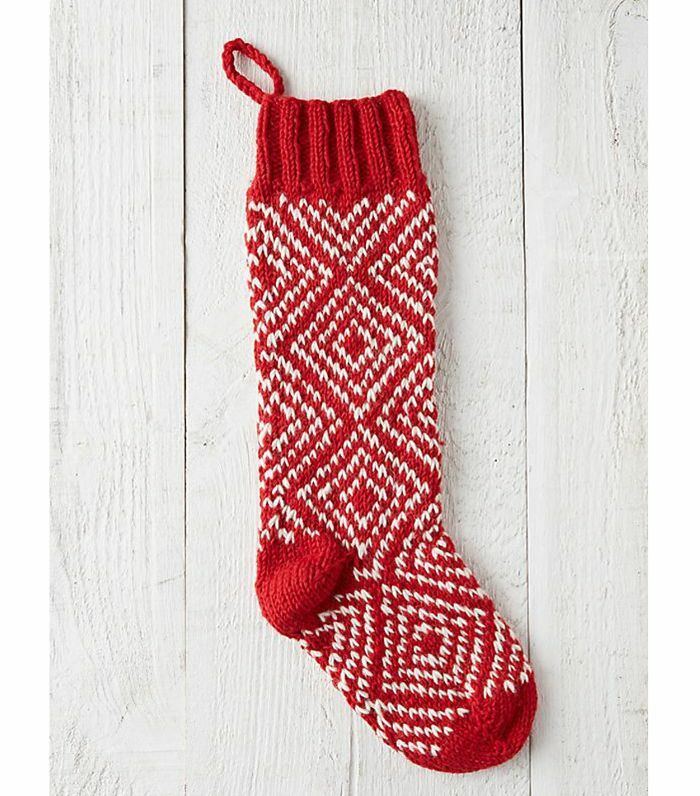 Although it's hand-knitted in a rather traditional fashion, this wool Christmas stocking is still a fresh choice. Up next: Do not attend your office holiday party without knowing these 15 etiquette rules. This post was originally published on December 8, 2015, and has since been updated.